Delhi Parsee Anjuman cultural awardee. 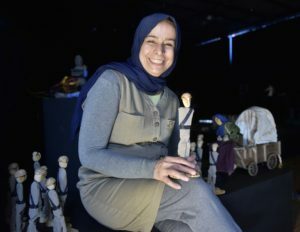 Zahra Khyali Sabri is an Iranian director, stage designer, puppet designer and maker. She is the artistic director of the company Yase Taman. She was born in 1967 in Tehran, Iran. She founded the group Yase Taman in 1990 after completing a BA in Stage Design. As she approaches the 30th anniversary of her professional theatre life, she has reached the conclusion that if puppets were removed from her theatrical world, her presence in this world would definitely come to an end. 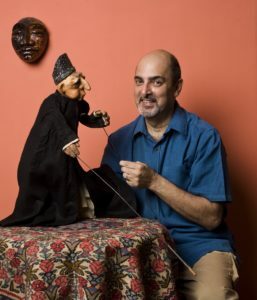 « I am so glad that the puppets are patient and powerful, and they continue to exist in all contexts. They ensure that I carry on living within the theatre ».